Living Area: 2208 sq. ft. Newer 4bd, 2bth home is light, bright & roomy! 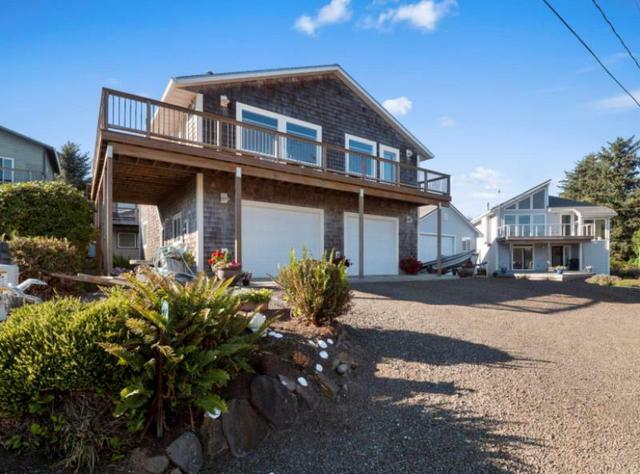 Over 2200 sq.ft with a wall of windows framing beautiful views of the bay & colorful sunsets! Quality finishes throughout including Brazilian hardwood floors, hand painted tile work, custom cabinetry & stainless appliances. Open floor plan has vaulted ceilings, skylite, pellet stove, custom blinds, wrap-around deck and 2-car garage.